Tracy's sister Sarah has been missing & assumed dead for twenty years. In that time, Tracy has left her small home town and become a detective working in Seattle. Then, one day, Sarah's remains are found, and Tracy returns to her former home town, seeking closure. 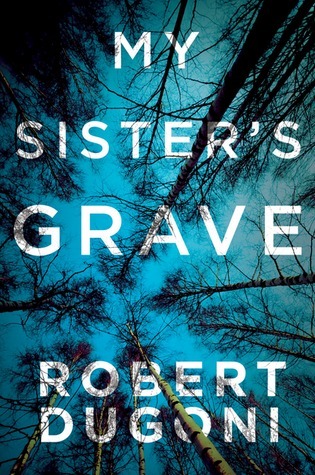 My Sister's Grave is a thriller told in parallel timelines. We get the aftermath of Sarah's remains being discovered, but we also get the aftermath of her disappearance. Chapters are very short - scenes, really - and the story is engaging and entertaining all the way through. Pretty soon, we learn that Sarah's disappearance has not been an unsolved mystery as far as everyone else was concerned: someone has been prosecuted and imprisoned for her murder. The aftermath of Sarah's death has been devastating for Tracy's family, and there is a sense that, more than the collapse of the town's main industry and employers, it's Sarah's disappearance that has killed the sense of community. The thriller is competently told and engaging when it comes to the central plot - a teenage girl's disappearance and the mystery of her murder. Where the story felt less than great is the romantic sub plot, which felt out of place to me. It felt like reading Mills & Boon: everything is too easy, too simple, too smooth. If what you're looking for is a quick, entertaining thriller, briskly told and pleasantly entertaining, then this book is great. If you're hoping for something a bit richer, deeper, and likely to stick in your memory, then this isn't the novel for you at this time. A perfectly satisfying airport paperback - great for whiling away a plane ride. And thanks to Amazon Prime's "Kindle First" programme, it's free for every member this month (October 2014).